Quite a solid camera, arguably introduced just a little late. 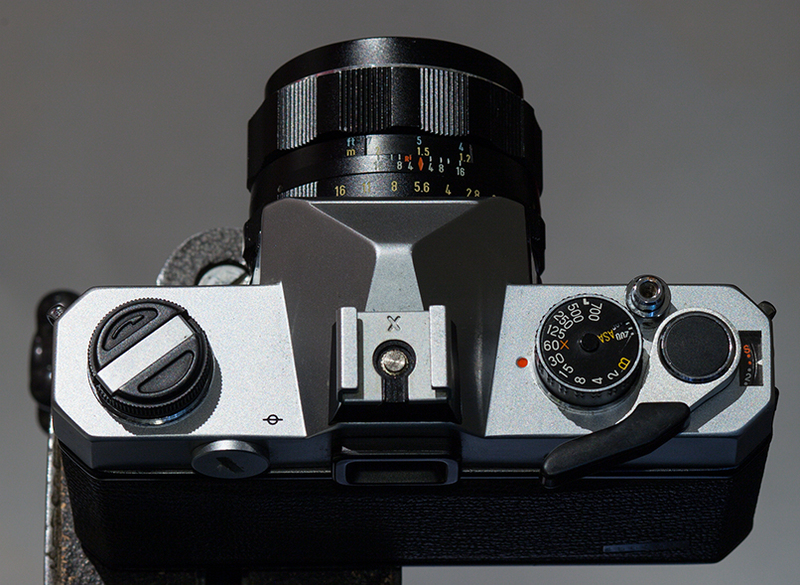 The K1000 preceded it by a year, and with it came bayonet mounts and 1/1000 top speeds – by comparison the ST605n seems a bit behind the times with its M42 screw thread and 1/700th sec top speed. 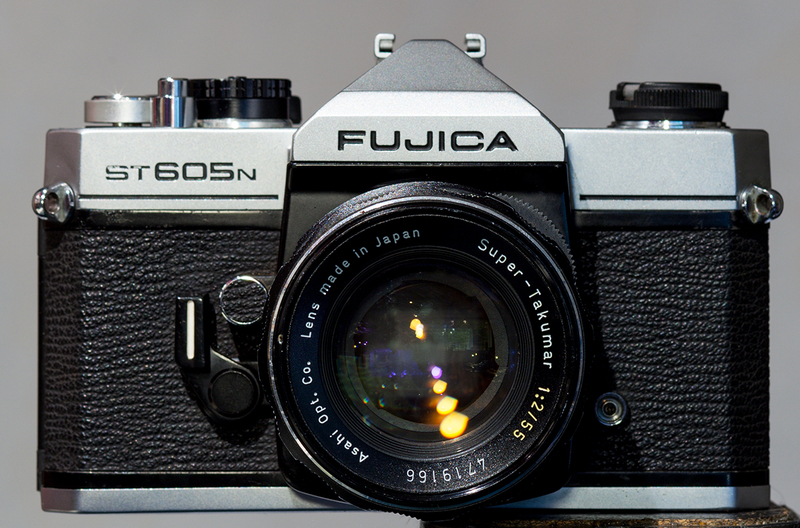 Much as with Kodak, Fuji was primarily a film manufacturer who turned their hand to cameras in the ’50s, and today is largely a digital imaging manufacturer. 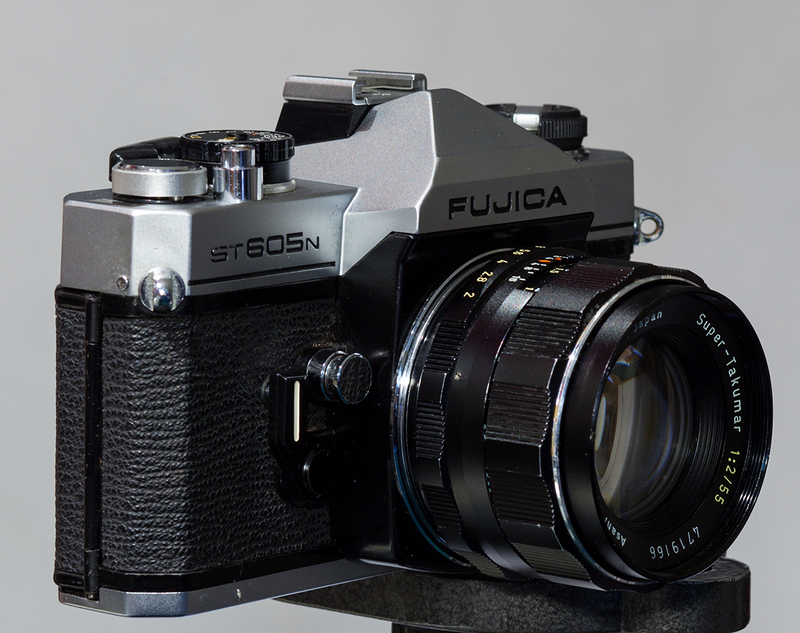 They had success with a number of rangefinders, including some quite spectacular medium format models, and produced a limited number of 35mm SLR models. Cloth focal plane shutter, almost standard issue for the time, with a (comparatively limited) range of 1/2 to 1/700th second. Yes, the top speed not only wasn’t 1/1000 but it actually wasn’t a “typical” stop value either. Stopped down (!) 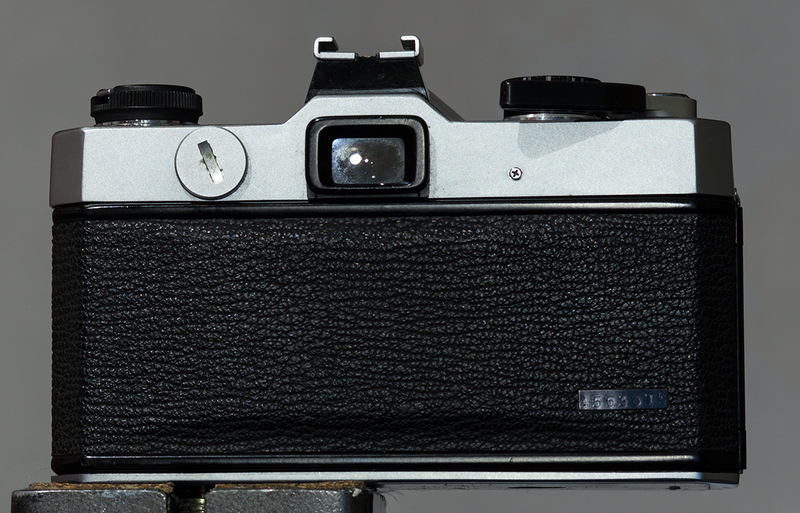 match needle metering, with the only slightly innovative feature being shutter speed display in the viewfinder courtesy of a needle indicator linked to the speed dial on the top plate. The user had to depress the stop down switch on the front of the body to activate the meter and stop down the lens, pretty primitive compared to the contemporary K1000. It’s worth noting that this is a well made camera, with a solid feel, and it’s physically smaller than the K chassis from Pentax. The reality is that, by 1977, the specification was just a bit too dated – though it does feature a self timer, which is more than can be said for the K1000. 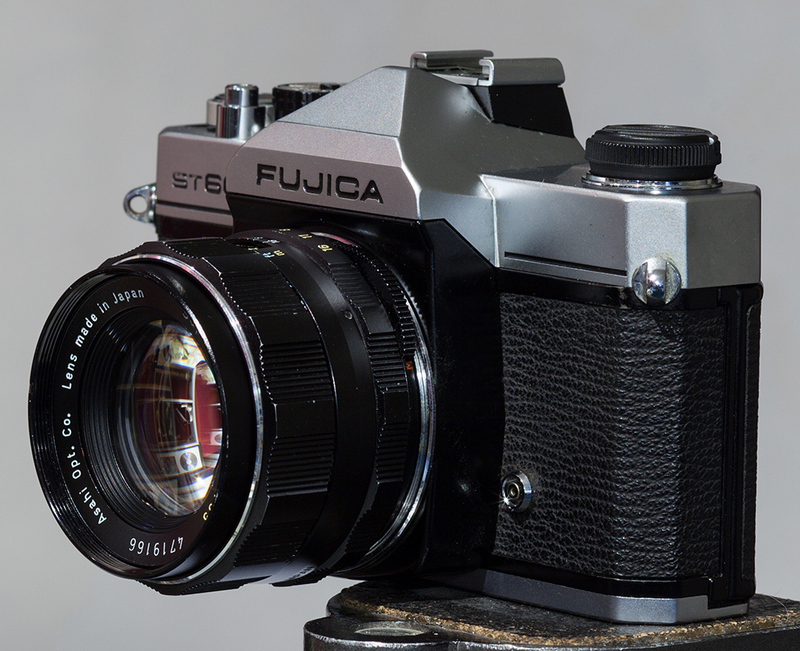 This was another camera to which I gave serious consideration in 1980 when I was trying to decide what to spend my hard earned Saturday job money on. It’s a good starter camera for a student and probably would have served me well, had I elected to buy one. Purchased December 2012 on eBay for $45, it was a reasonable buy. As received it was quite dirty, with much of the foam disintegrating and adding to the dirt accumulation. It took more cleaning than almost any other sample at time of acquisition.